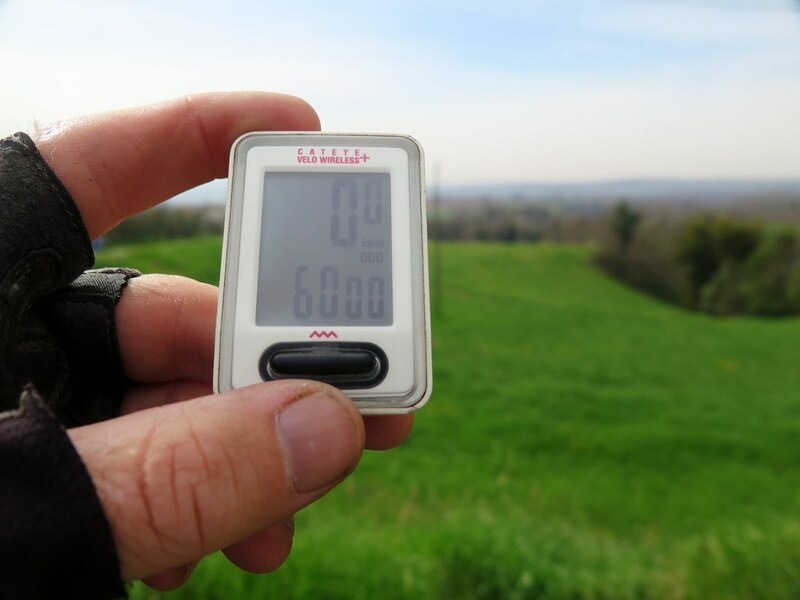 Less than an hour into the following day’s ride, we passed a big milestone. We ticked over 20,000km total for the trip, cue high fives, kisses and the traditional photo of the speedo. The distance we’ve covered feels quite difficult to fully comprehend. 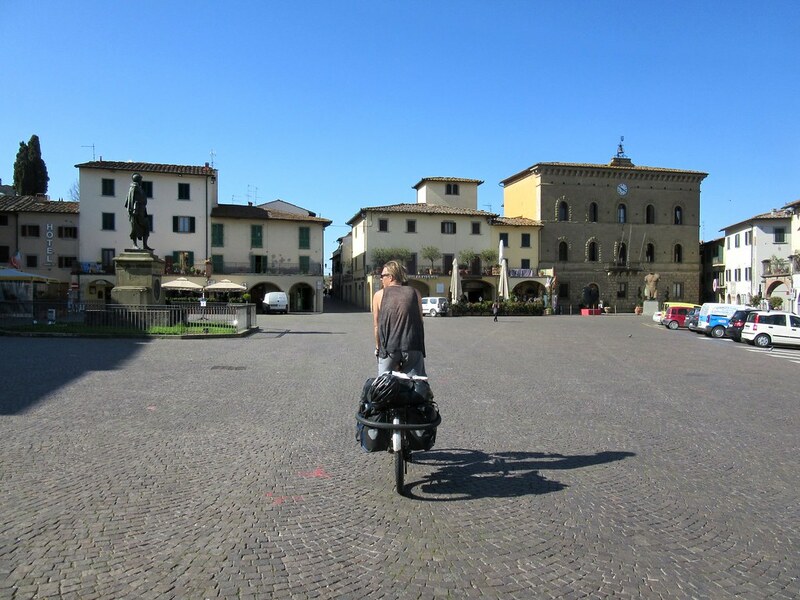 We’ve been going for so long now that it’s just our normal life to be riding our bikes, moving from place to place and country to country. The kilometers just keep ticking up slowly (very slowly sometimes!) but it’s not something that we set targets for or monitor closely. We make a note of our daily total in journals, for interest more than anything. When we set off, we made a guess at 20,000km for a rough total for the trip, so it’s strange now find ourselves exceeding that figure which seemed so far off when we left Japan. 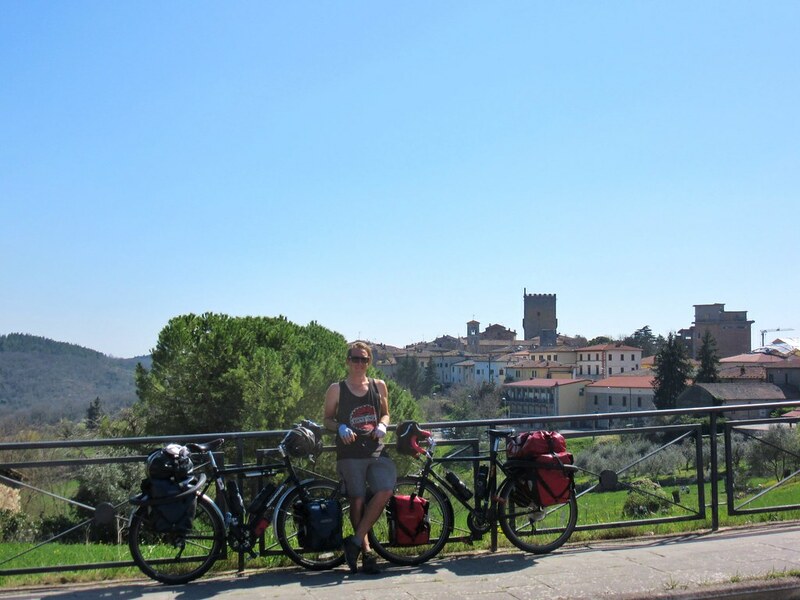 We should’ve packed a bottle of prosecco in the panniers, but it was about 9 in the morning, so we made do with a cuppa from our flask! 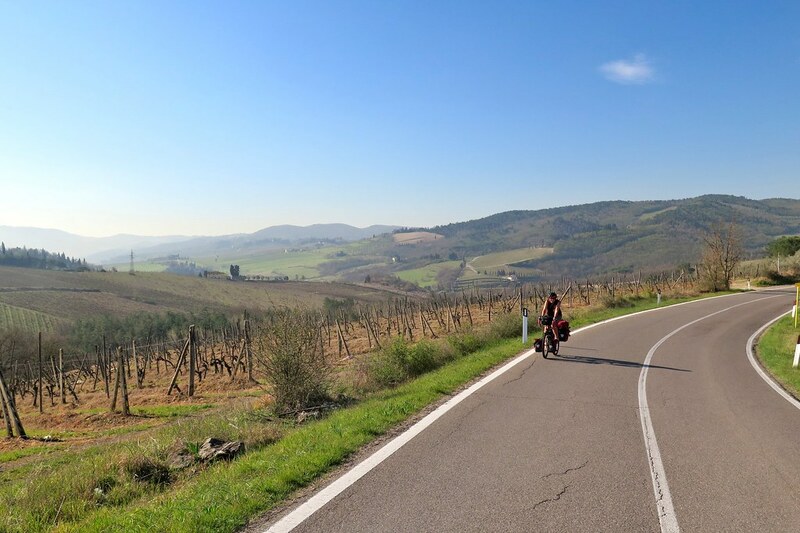 Now that we’re well into Europe, we’d heard of these amazing Eurovelo routes – designated cycle paths, crossing the continent in all directions. 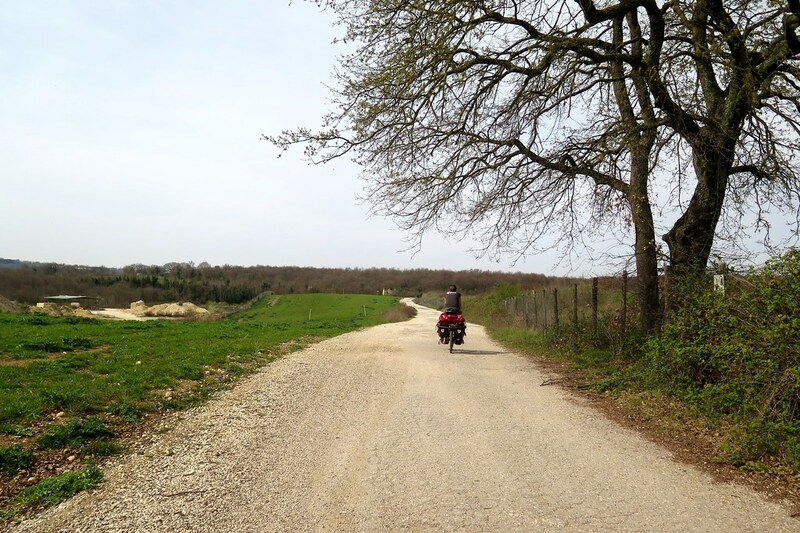 We couldn’t wait to try one out, and had planned to intercept the Eurovelo 7 later that day near Orte. I don’t think the stretch we rode was the best introduction, as it started off with a very steep climb, taking us away from the very pleasant and quiet country road we were on, and up onto a dirt path on a high ridge. 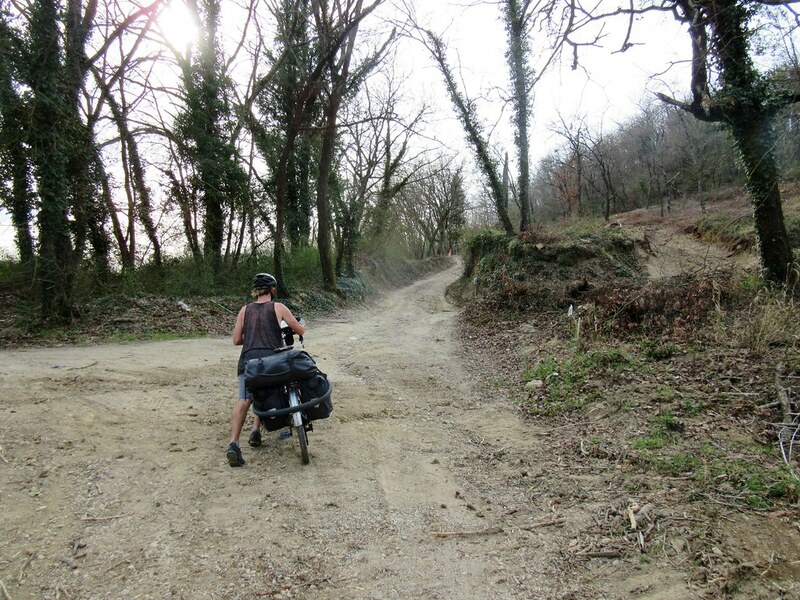 We persevered past Orte, down into a valley to rejoin a paved road. We hoped it’d improve from there on. But it didn’t. After another quite unnecessary climb up to a village high on a hill, the route took us down a ridiculously steep lane, to a river crossing where we were met with barriers and a big ‘Road closed’ signs. We had to carry our bikes across the construction barriers and then push them up a steep dirt road on the far side. 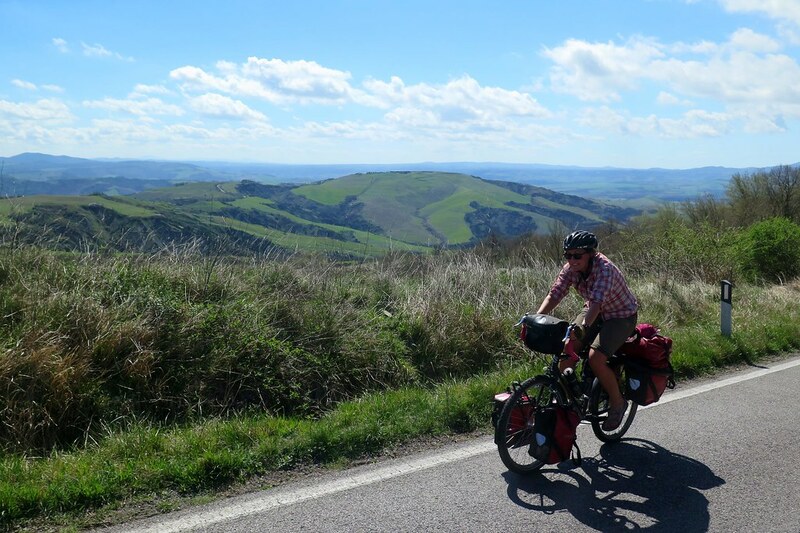 We decided there and then to abandon this Eurovelo malarkey and just follow our road map looking for minor roads heading in our direction. Much easier. From the top of the climb we were up on a plateau at about 600 metres for a couple of hours. The wind was gusting from all directions, but it felt like it was working more against us than for us so we made slow progress. We were rewarded for our hard work with a long downhill to finish the day. 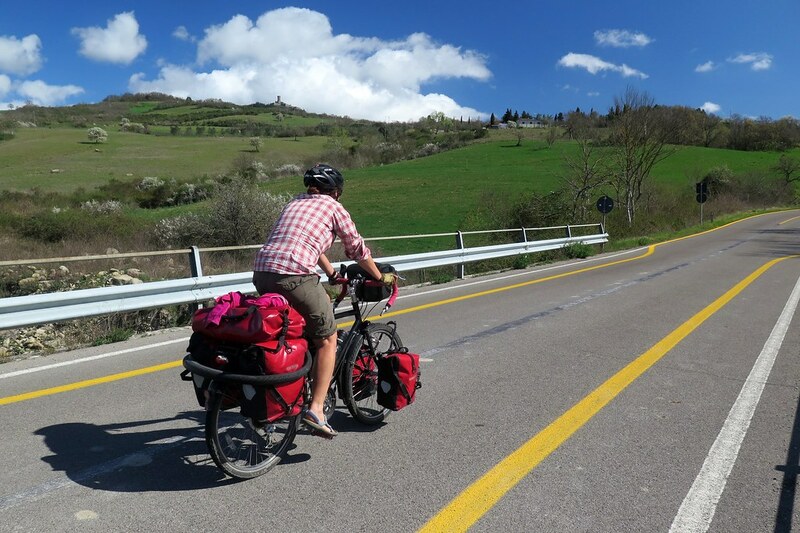 We cruised downhill close to Lake Bolsena and then hooked a right to join SR2, the Via Cassia, an ancient Roman route. 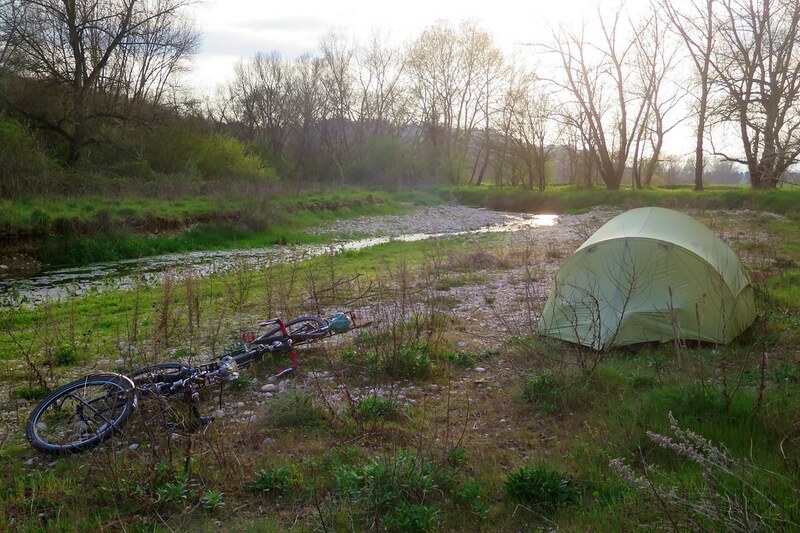 We stopped just after Acquapendente where the road crossed the a river and we found a spot to pitch our tent in some trees. The clocks went forward by 1 hour in the night. Not that it really matters too much to us – the sun still rises and sets, and that’s what affects our schedule the most. 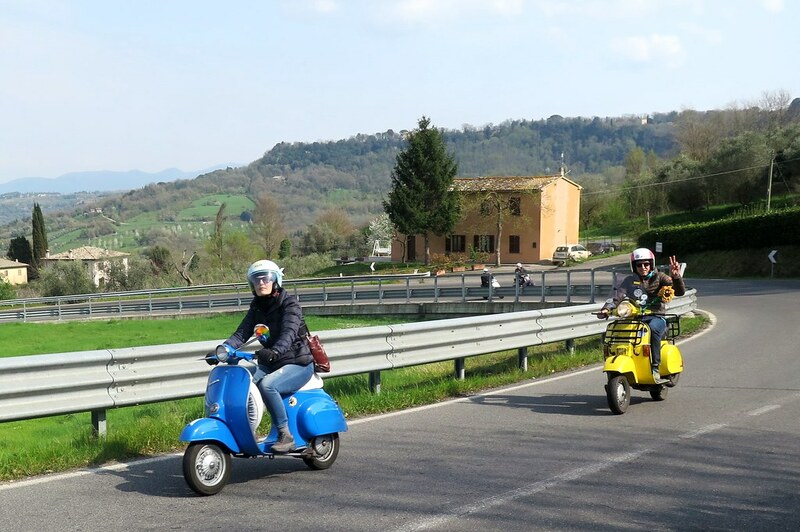 It was a beautiful sunny day and we set off following the SR2 up a valley and across the border into Tuscany. Above us to our right we saw a tower perched high up on a mountaintop which looked very dramatic in the sunshine. Not that we fancied riding up there for a closer look. A closed road sign and a diversion had other plans for us though, as it took us right up to 750m through Radicofani and past the tower we’d seen from the valley. It was a very slow climb and it was lunchtime by the time we’d reached the top. 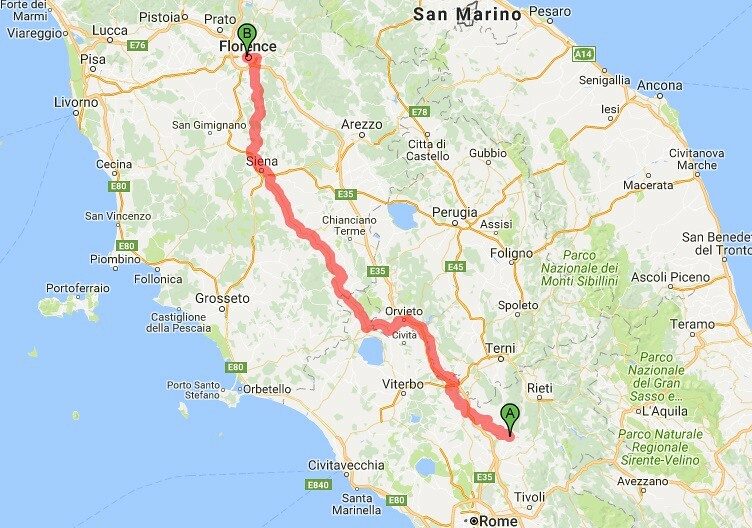 After cooking up and eating a big bowl of pasta we set off downhill and eventually rejoined our original road, having covered an extra 20km thanks to the diversion. We had a short day the next day, so had time to dry the condensation off our tent in the morning sun. The nights are still chilly and so we usually wake up with the outer skin of the tent very wet, which means we’re a bit slower to get away in the mornings. 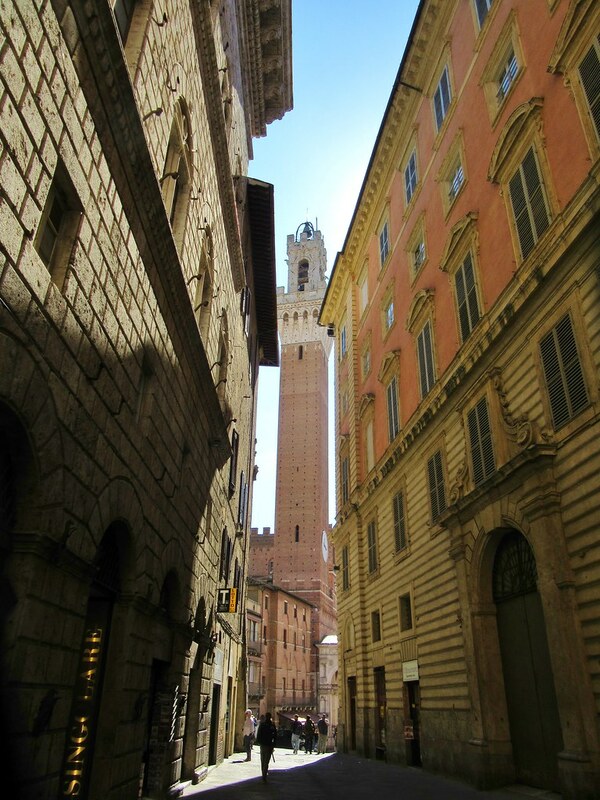 Once we were packed up, we hit the road to cover the distance in to Siena, which needs no introduction. 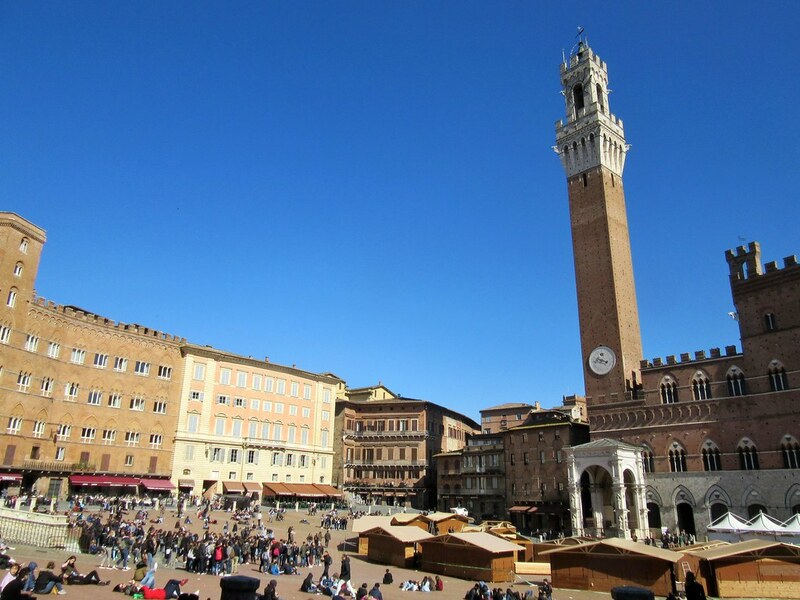 The weather was still amazing and we really enjoyed riding into the Piazza del Campo where they hold the famous horse races. 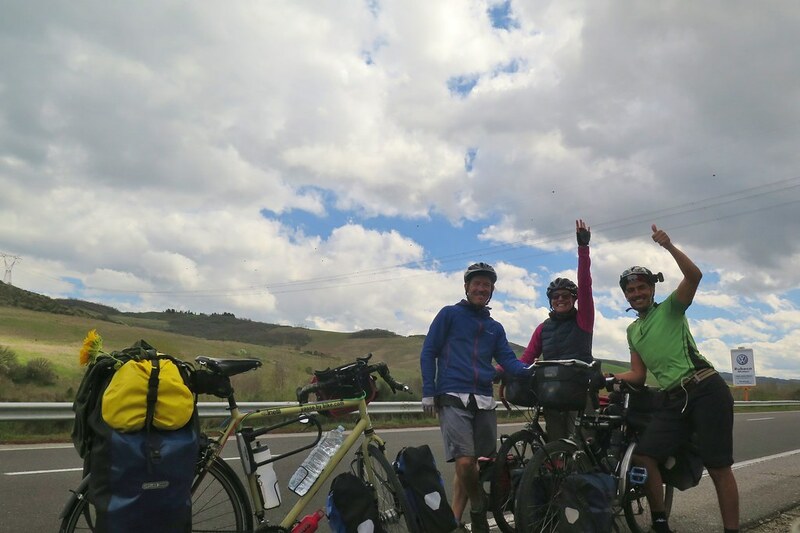 Surprisingly, we met another couple of touring cyclists there, Rafael and Magda from Poland who were as surprised as us to see others on touring bikes. 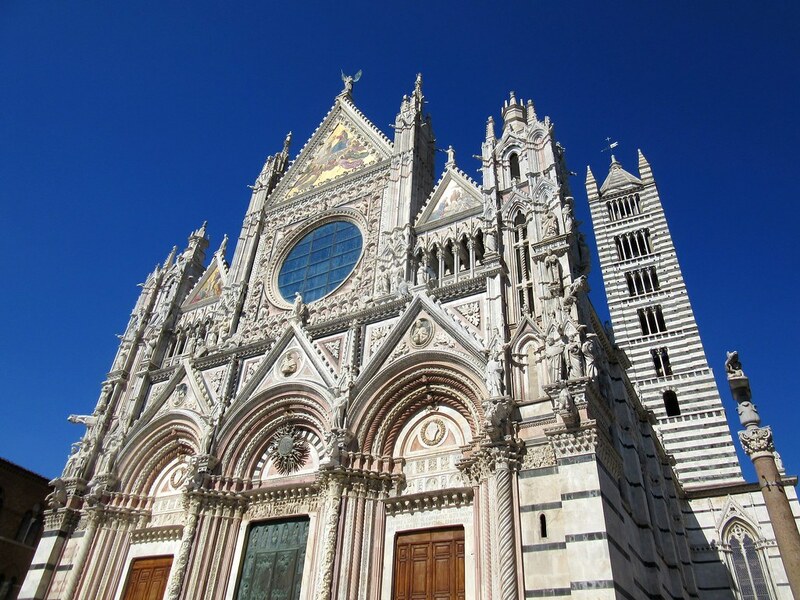 Siena lived up to the hype, a really beautiful old city which we were very glad to have included on our route. 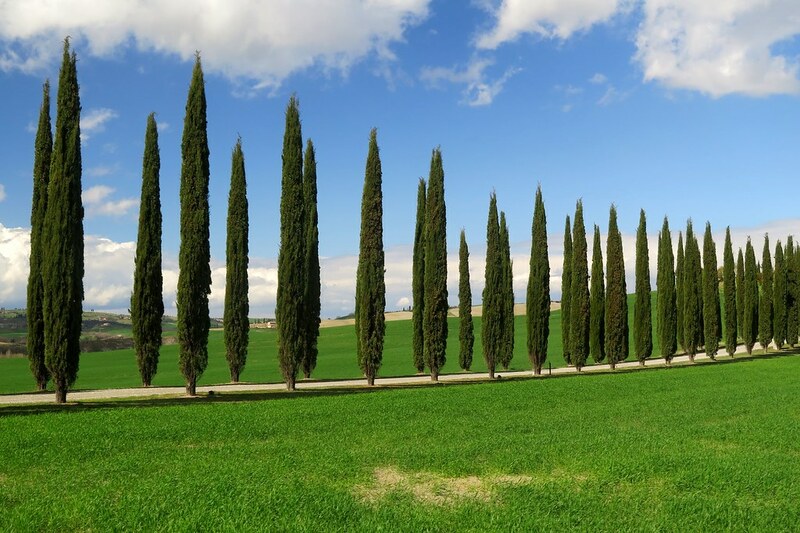 North of Siena is serious wine country, the Chianti region. 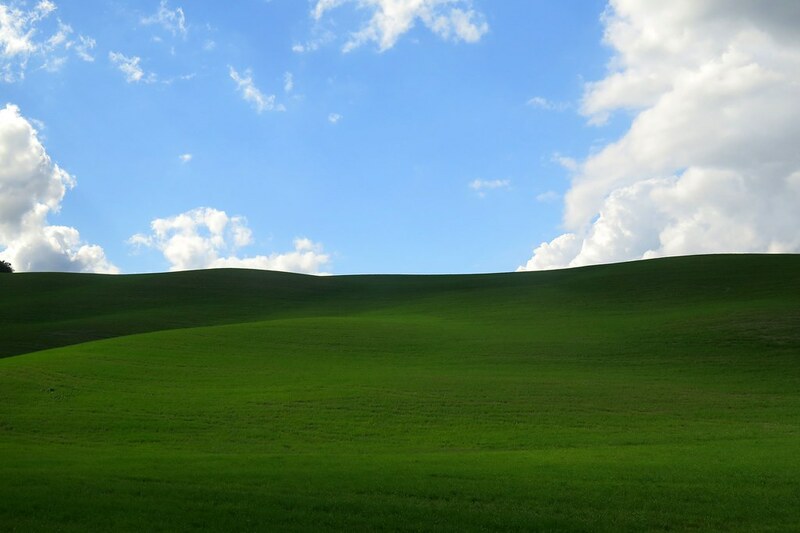 As soon as we were out of town we were surrounded by vineyards. The road climbed, steeply at times, but we went slowly with lots of breaks for photos. 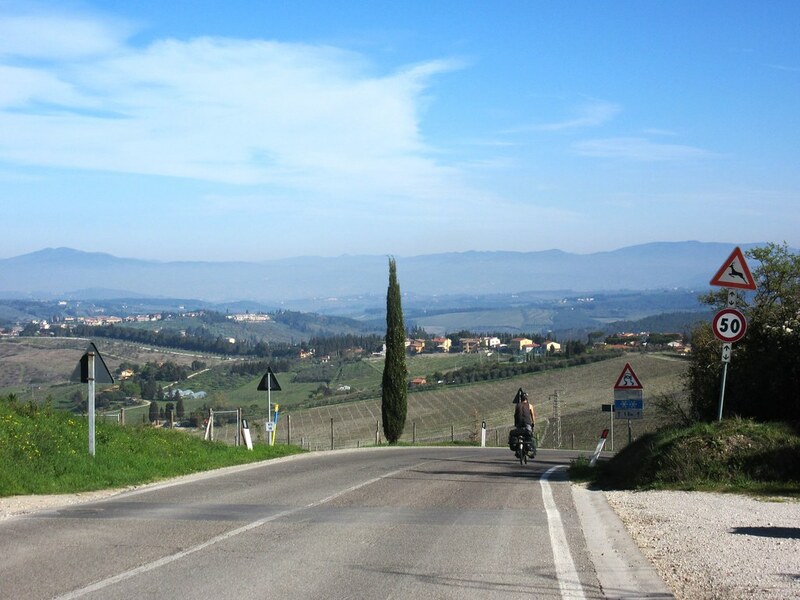 We could see for miles, the towers of Siena in the distance behind us and ridge after ridge of vines ahead. 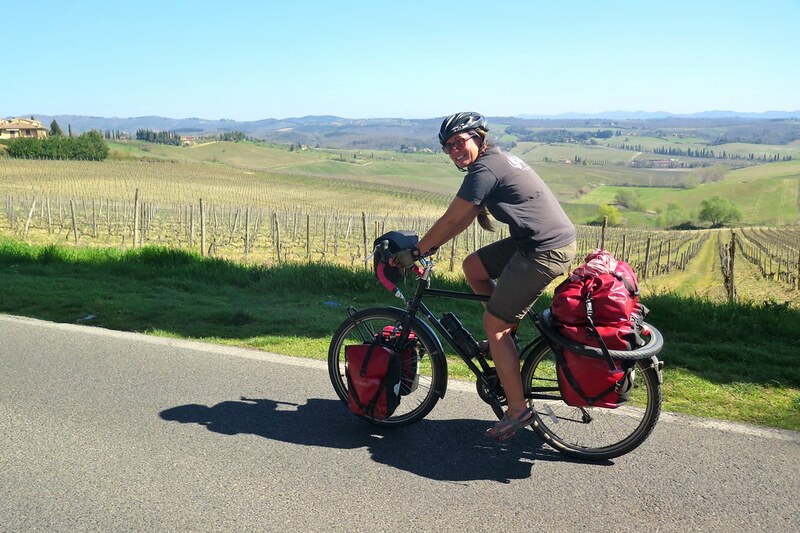 We passed through numerous hill towns, all advertising wine tasting and cellar door sales, sparking ideas for future trips, based in one place but touring the vineyards by bike to sample the produce. 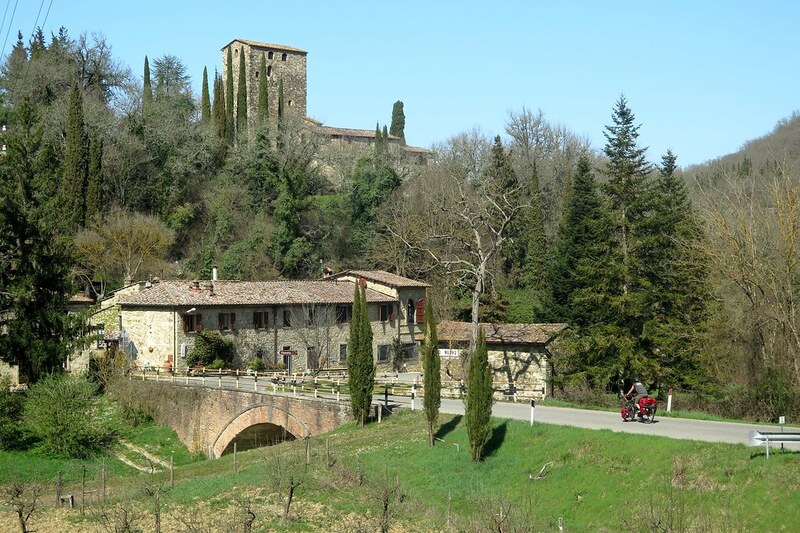 A long swooping downhill took us into Greve in Chianti, seemingly one of the centres of the wine industry in the area. After a hot afternoon, we were low on water so turned off into the town to find a water fountain to refill our bottles. 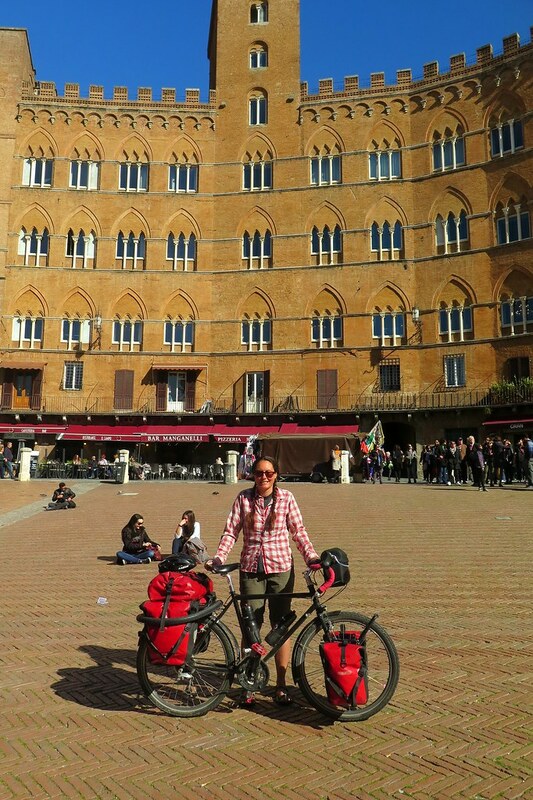 We found ourselves in a big central piazza that we wouldn’t have seen had we not been looking for water. 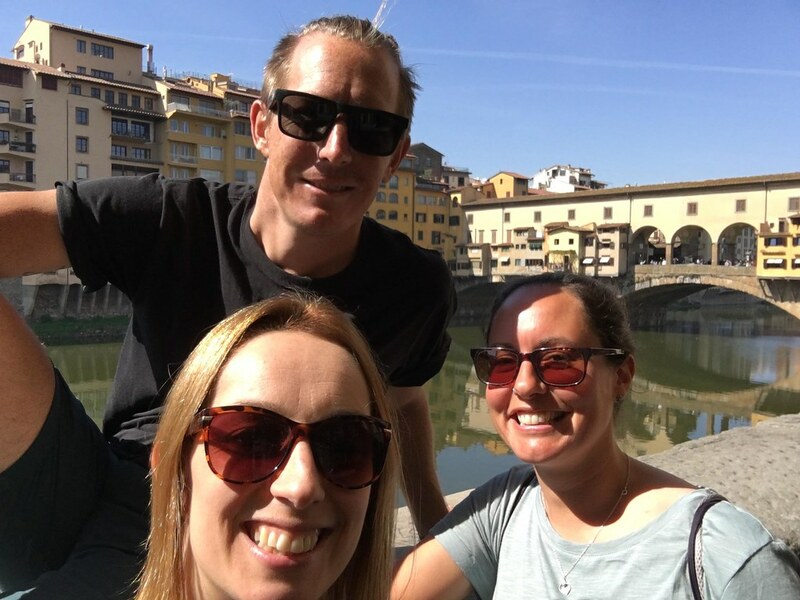 The square was lined with cafes and bars and we couldn’t resist a gelato in the sunshine, a great way to finish the day. 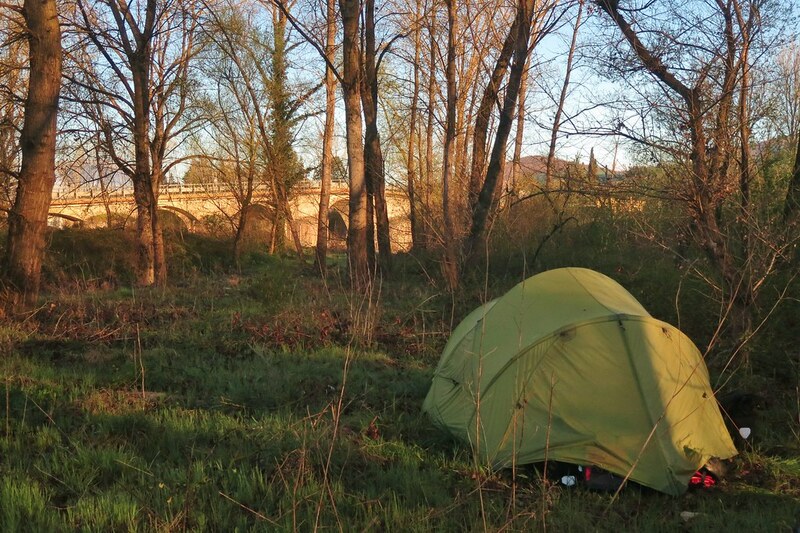 We still had to find somewhere to camp though, which looked like it’d be tricky as every spare area of land was covered with vines. But it was a lot easier than expected. 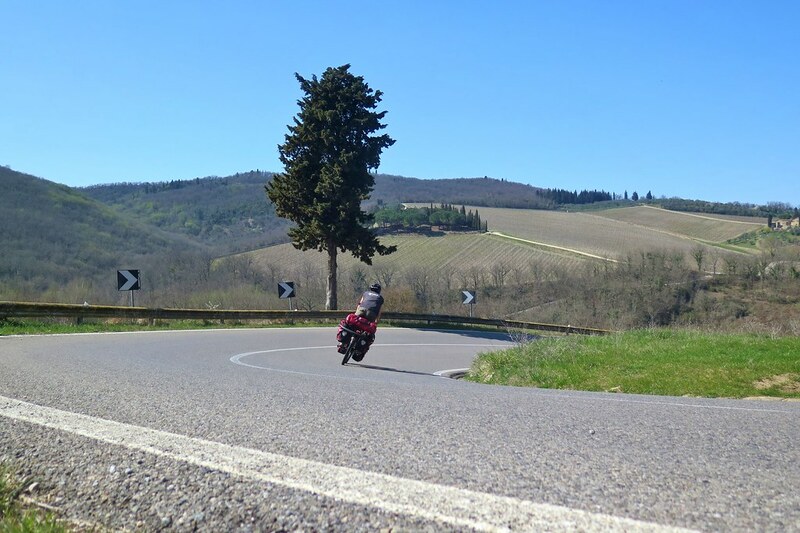 Just below a hairpin bend, there was a perfect flat patch that was low enough to be hidden from the road and as a bonus was facing east to catch the morning sun. 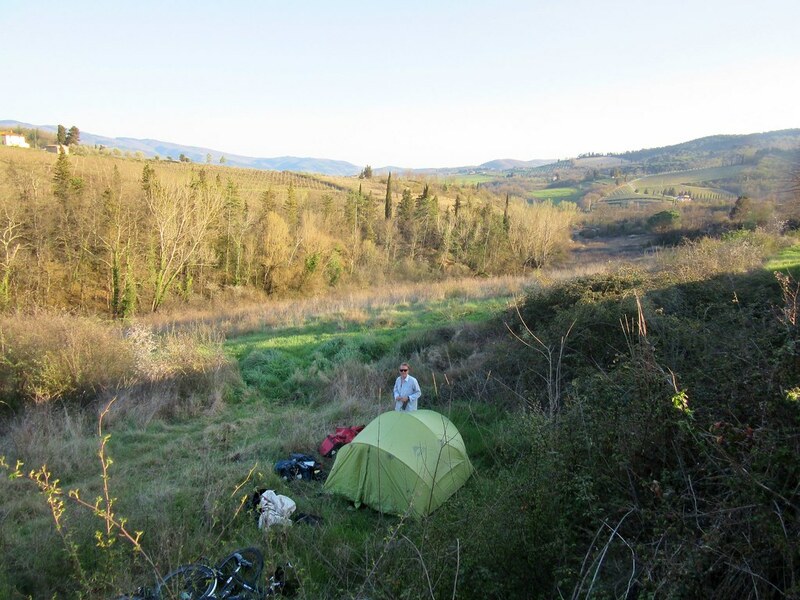 Once we’d pitched the tent, and were sat watching the sky darken and the shadows creep over the hills, we regretted not picking up a bottle of chianti from one of the many vineyards we passed! The vines still don’t have any leaves, let alone grapes growing on them yet. We realised why in the morning, as the temperatures had dropped way below freezing overnight and we woke to ice on the tent and frost on the ground. 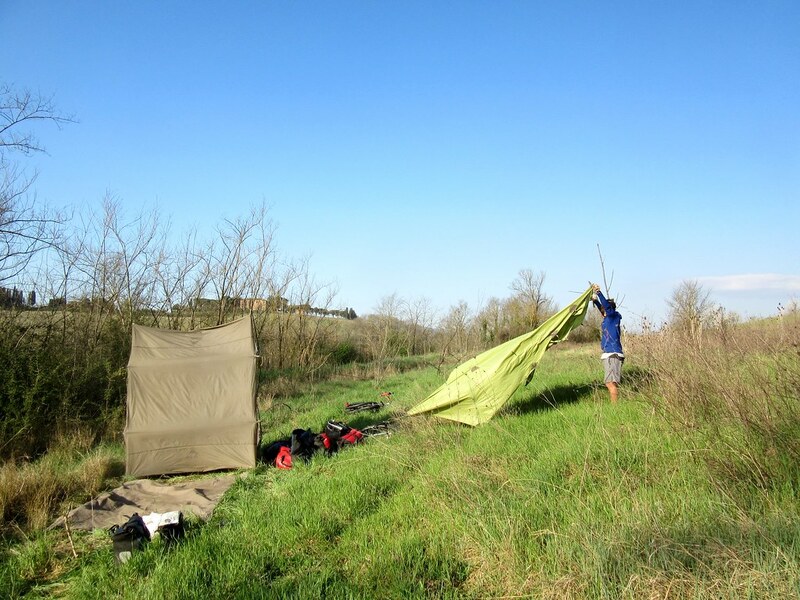 The morning sun was a real win, so we soon warmed up and the tent dried out. We packed up and pushed the bikes back up onto the road, which climbed for our first few kilometers of the day. 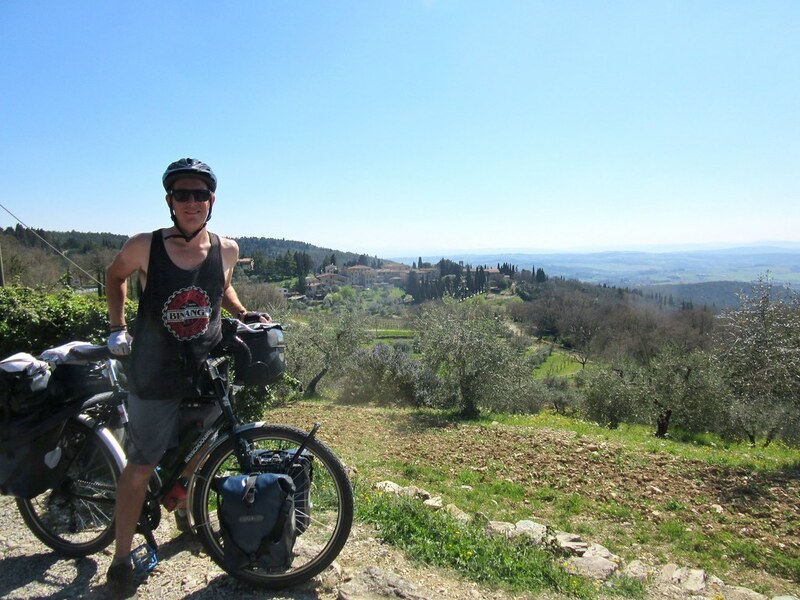 From a high point, we started to get glimpses of Florence in the distance nestled in a river valley, and then started a long gradual downhill. 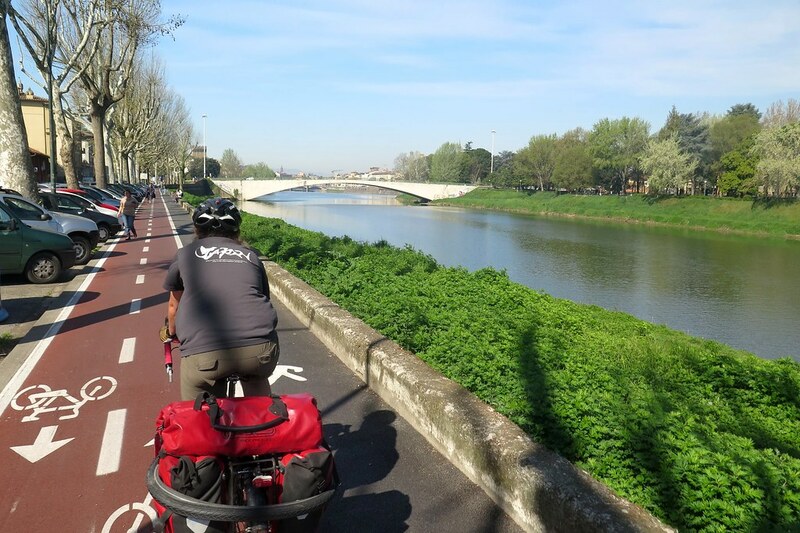 The traffic picked up, as it always does when approaching a city, so we headed towards the river Arno to join a riverside cycle lane which took us most of the way in to the centre. 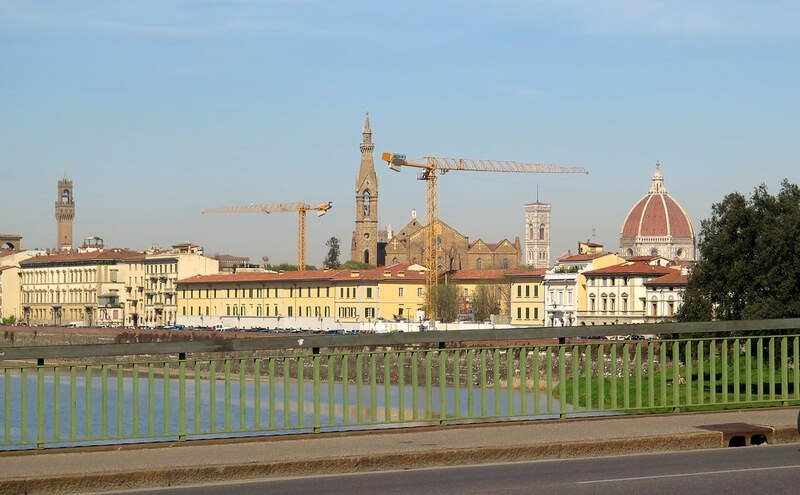 The classic view of the Duomo and towers of Florence when we crossed the river was slightly marred by several construction cranes. 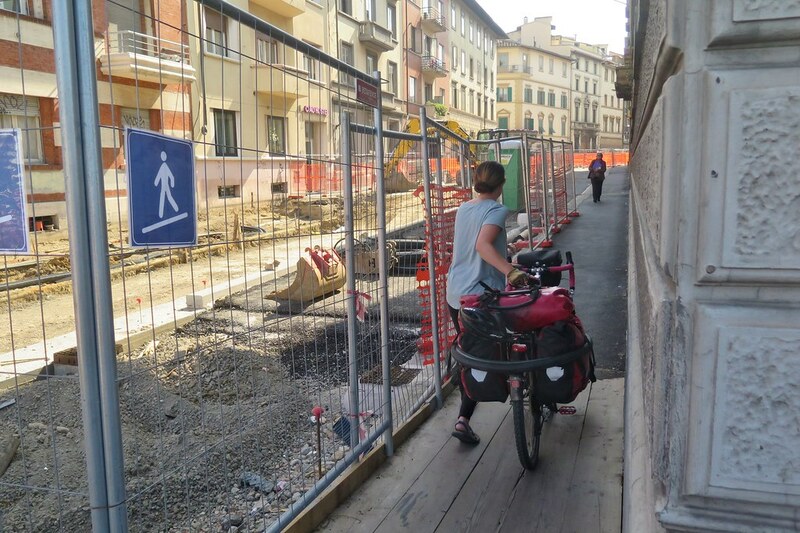 Once we were into the city, it turned out most of the roads were being dug up or rebuilt, which made navigating to our hostel particularly tricky. 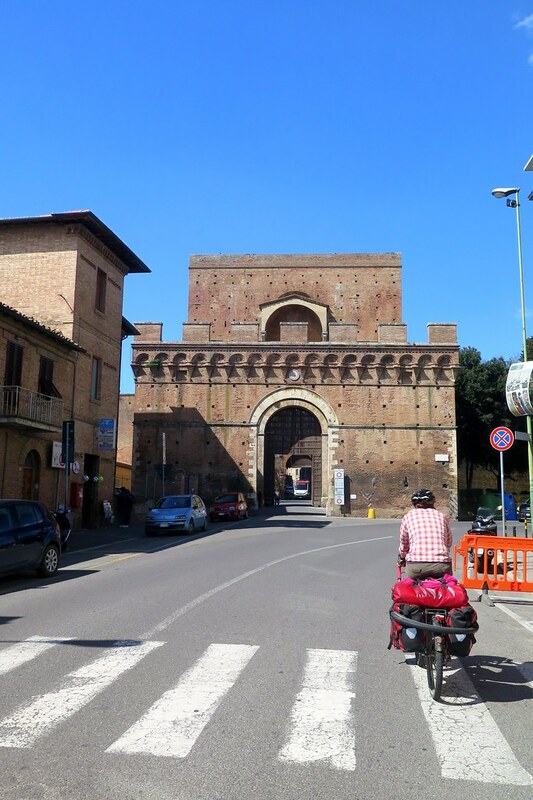 Every road we tried seemed to be closed or reduced to narrow pedestrian lanes. In the end we got off the bikes and walked, but we got there eventually. We’re looking forward to spending a few days here with Clare’s friend Suzi before continuing north towards the lakes. ← Days 522 to 527. Napoli to Montopoli in Sabina.